Sean Kelly, the Irish cycling superstar who won sprint stages in the Tour de France as readily as classic hardman races like Paris-Roubaix has reformed his alliance with the French Vitus name. The biggest of the big differences between then and now is that Vitus is no longer a French company at all. The name, stock, tooling and patents were recently bought up by Northern Irish bike seller Chain Reaction Cycles to develop as its own in-house brand and the first ‘2011’ bikes were shipping in the latter part of last year. 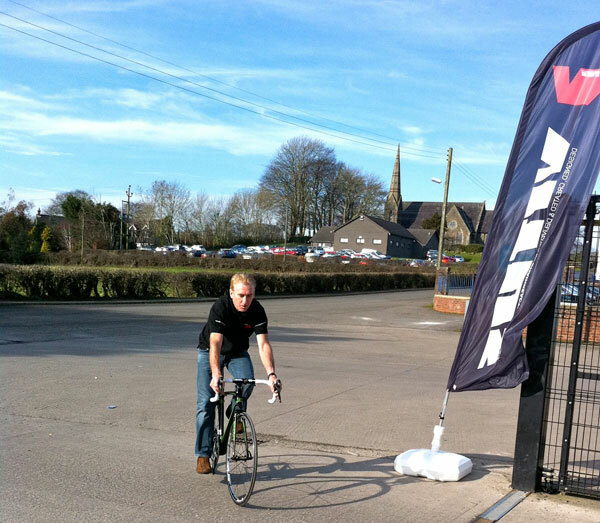 The range of bikes, in road and mountain guises and priced between £500 and £1,500 were well received but it was inevitable that Brant Richards, the product manager brought in by CRC to supervise the relaunch of the brand, would be restless not to let the grass grow under his wheels. The addition of Sean Kelly to the team shouldn’t be a surprise to anyone as his name is synonymous with Vitus and his glory years all through the 1980s were mostly mounted on the company’s products. The frames had skinny tubes by modern standards but the French company popularised the use of aluminium and bonding in frameset construction. Kelly’s successes on Vitus-equipped bikes more than anything reassured club riders that aluminium was worth paying a premium price for. Carbon fibre is now used for the top Vitus ‘Park Plasma’ models but aluminium still features, now that manipulated and welded large chunks of the material are a benchmark for any good value, reasonably high performance machine. We only got hints – more FSA chainsets – of developments coming so we’ll have to wait and see how the aluminium models will evolve for 2012. It was the Mark II version of the Dark Plasma carbon bike that we went to Ireland to see; the first result of Mr Kelly’s input. With all-new moulds to make the frame in one piece now and refinement to every aspect of the design and construction, Richards and Kelly have bought the weight down to sub-1,000 grams, which they need to if Vitus going to compete with the likes of Cervélo at the premium end and Boardman most prominent among the volume makers. The steerer/headset combo will now taper in the latest style but Richards, with his belt-and-braces mountain bikers hat on, is insistent that outboard bearings in a 68mm bottom bracket shell is “plenty stiff enough” and, more importantly, not going to creak in a correctly designed frame. So no BB30, then. There will also be no overly accentuated long head tubes, either; a point that Kelly was forthright on. His own position, then and now, had a moderate 73mm drop from saddle to handlebar, a point that his various Directeurs Sportif found a bit touristy but even so, Kelly feels that riders ought to do a few more exercises if they need their handlebars much higher. 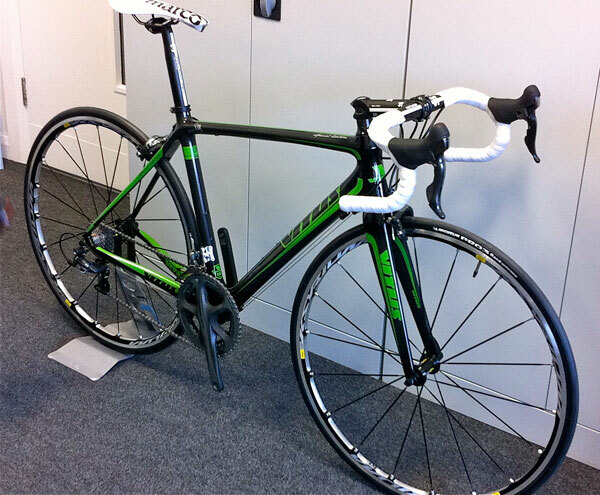 What we’ll see first, in what they’re describing as a ‘2011-and-a-half’ model – which means mid-summer to us – is a limited edition Sean Kelly Special Edition fully fitted out with the new frame, Dura-Ace components and top notch finishing kit for £3,500. In black and “green for Ireland.” Even with Kelly’s preferred Speedplay pedals fitted, it weighed 15.5lbs. The top version of the new carbon frame will slip in under 1,000 grams. 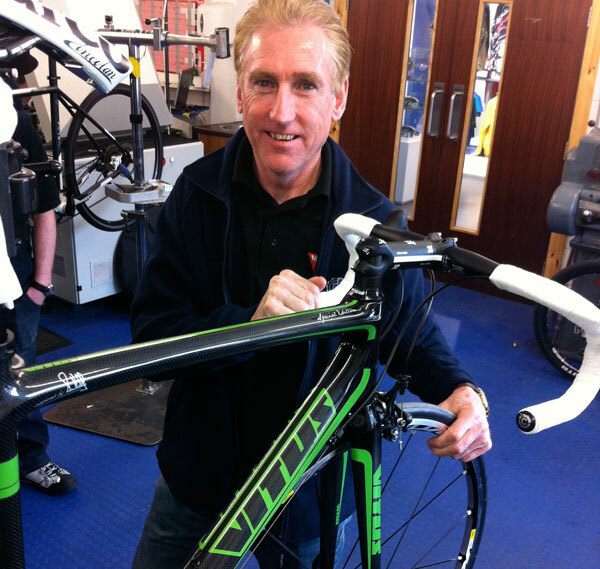 A first ride for Sean Kelly; he is keen to keep a true racing shape for the new frames.